This past February I had the great privilege of meeting Allan Henry, general manager and the main driving force behind the up-and-coming camera bag company Atlas Packs. After our first interaction, I knew that this product and company were doing something special. They had come up with a design that not only checked all the boxes that a typical outdoor photographer looks for but it managed to carry just like a hiking bag which is something that I had never seen out of other bags in the market. I knew I had to get an interview with him and after the fact, I’m even more impressed by what Atlas Packs is doing. The company was founded by David Tedesco who while on a month-long Everest trek in the Himalayas was just unsatisfied with the fact that his bag had no room for a camera. 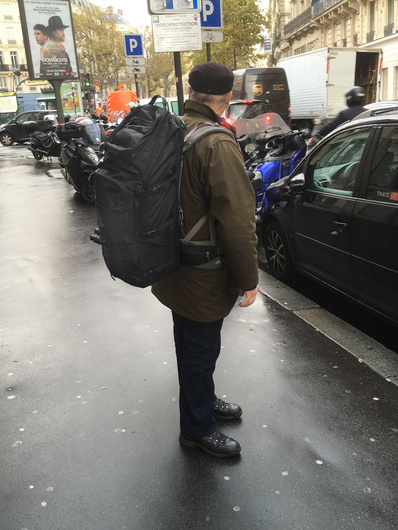 Henry can still remember when Tedesco asked to help with the design of a backpack after the frustrations during his Himalayas trip. In typical entrepreneur fashion, Tedesco bought a sewing machine and found a manufacturer to build his first Atlas Pack prototypes. After working through dozens of iterations he had finally created a bag that carried and functioned properly. When Henry got involved, Tedesco and his research and development team had gone through dozens of different pack designs searching for a functional bag that carried like a hiking pack. The idea behind the built-in camera core instead of an ICU system was to ensure that the bag carried the load perfectly and in my experience, I have never had a bag that carried so well in the outdoors. They had built a carry system that not only carried great but was also expandable without sacrificing the user experience. It was limiting but in a good way, if you could fit it in the camera compartment you could say with confidence that it would carry like a dream. Once the design was nailed down they needed a manufacturer to build bags that could withstand the rigors of getting beaten and banged around on the trail, along with protecting the precious camera gear. They ended up landing on DONG-IN ENTECH. Co which may not sound familiar to most but they manufacture the world’s greatest technical bags companies including Gregory, Patagonia, Osprey, and Arc’teryx. Working with one of the best research and development facilities in the world, DONG-IN has proved to be an invaluable partner to Atlas Packs in their journey. With generations of experience, they stand alone at the top of the technical bag industry. They make their bags in multiple back panels and in sizes small through extra-large, another rare thing in the camera bag industry. They are working to cater to and listen to the consumers who are out there putting in the hard miles and relying on this equipment to hold up through these harsh environments. While I hung out with Henry at his booth at the OR trade show he made it a point to listen to what all interested consumers had to say about the bag. He further explained that the company wasn't trying to make bags to do it all, he admitted that he didn't use the bag on his typical sports shoots but he was confident that on the trail it would carry and do its job like a dream. Atlas Packs true to their roots made sure that every purchase went directly through them and not a website. This was to ensure that the customer would get the perfect pack for their body and their gear. Unlike the typical shopping experience in brick and mortar stores where more time then not they act like one size fits all. 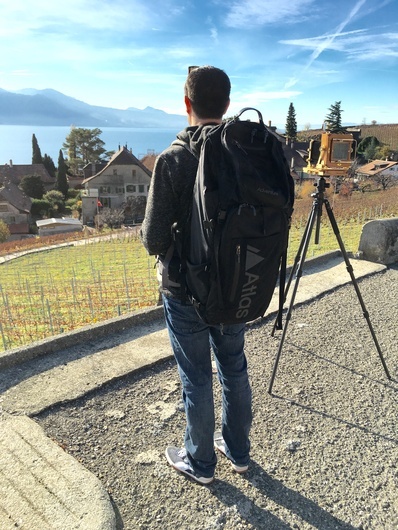 All the while Atlas is making sure to not cut corners all the way from research and development to distribution and this is why it’s one of the highest quality bags on the market. Now I have to take a moment to recognize Allan Henry who was the first person I met associated with Atlas Packs. He is an accomplished sports photographer with most of his work centered in golf. Henry started by sneaking into golf tournaments with borrowed a 400mm from a buddy, tossed it over his shoulder and walked around like he was supposed to be there. He faked it till he made it showing the ambition and dedication that he now channels into Atlas. He is a picture-perfect example of seeing something he wanted to do and going for it. After he started getting recognized, he went on to be featured in Golf Mag, ESPN, Golf Digest, and Golf Week and got picked up to shoot for USAToday. He’s the main driving force behind the brand and deals one on one with all the ambassadors that they have added. Just seeing all the passion and work ethic that Henry puts into his company shows why this brand is so deeply loved by all who use their products. Atlas is nervous and excited about the challenge, but they're also super confident in their next release. The series 2 Athlete pack which has been a labor of love and the company is very proud to say that no finer camera backpack has ever been produced. 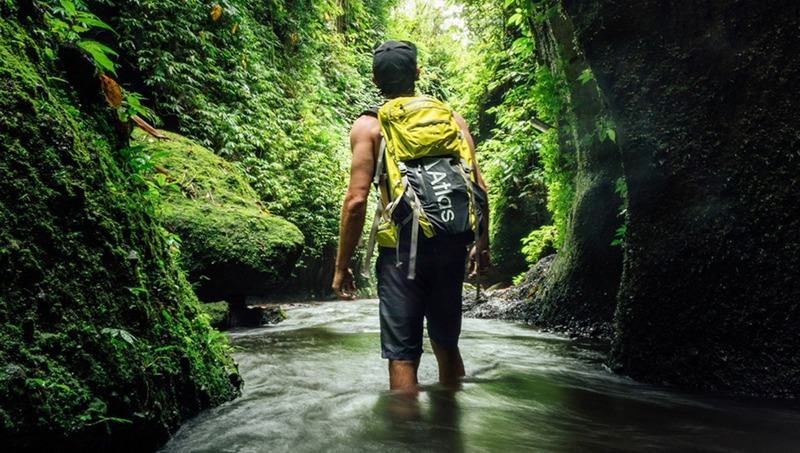 Going forward Atlas Packs is set to release their new Series 2 bag on Kickstarter this month. Where they feel like the bags have finally hit their maturity and they’re ready to continue to build the brand further into a more household name in the industry. 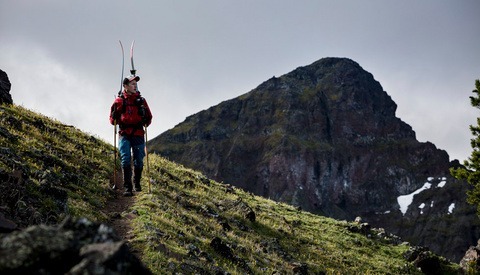 When looking at the outdoor industry from a photographers perspective it seems like the wild west. For awhile F-Stop bags had seemed to be keeping a good grasp on the market that Atlas Packs is going after but with the recent manufacturing and distribution issues they have lost trust in the community. There are other outdoor bags from big names such as Think Tank, Mountainsmith, and LowePro but in my experience, they just don't carry like the Atlas Packs. When I'm out on the trail putting hard miles under me, I need a carry system that works as a hiking bag and carries my gear like a camera bag. For the time being when I'm taking my gear on the trail, I'll be reaching for my Atlas Pack. They are built for photographers by photographers and that is a tradition I hope they keep as they potentially grow into a behemoth in the outdoor space. I'm a pretty big fan of Peak Design. How would you say they compare to the Everyday Backpacks? I imagine very different seeing as one is essentially for hikes and the other for 'every day'. Atlas user here. Totally different use scenario. From an "everyday" standpoint, the Peak is going to be a more traditional looking urban-loking pack. 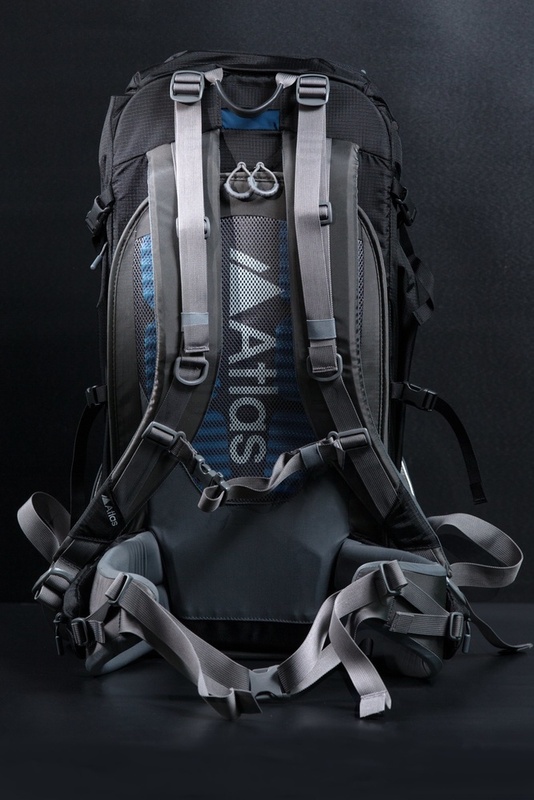 The Atlas is a much more technical pack, both in form and function, and is better for hiking, hauling gear long distances due to a much more advanced harness system. I bought Peak Design's everyday messenger (and several of other accessories) and frankly, this is one of the purchase I regret the most. The only great feature of the bag is the customizable-shape dividers. Beside that it's just a lame bag: way too thick and rigid. Pockets are crap: the side pockets have no zippers, the front pocket is too small and rigid and there are not enough of them. I was afraid to break the strap each time I picked the bag because it holds only from a hook attached to a tiny leather ring lightly sewed into it. And in the end I don't use it because if you put only a few stuff in it it's so rigid that it's not slim enough; and if you put just too much, it's cumbersome to carry. And it's too big too if you only need to carry 2 lenses for shooting an event. As for the rest of their system, the only great thing is the ring locks. The pouch's velcro died after 3 months. They don't stick anymore. The quickplate needs an allen wrench (D-ring screw exists !!) and its holes were not designed to use the strap & the clutch at the same time. (I managed to do it but by knotting 2 dot connectors to each other). And the worst of all is the Capture plate which causes more frustration than solution when trying to get your camera in & out from it. An all round disappointment. In the end, I only use the strap & clutch with dot connectors. Handy for quickly snapping on & off. I am generally not being caught into hypes like this. I am not sure why I yielded this time, but sure it wasn't the best idea. @ron fya that Peak Design bag is far and away the WORST piece of crap I have ever bought. I bought it just before going on an overseas trip where I took just one body and lens. As I got thru airport security I placed the bag down on a surface to put my belt back on, and the bag fell over forward, banging the contents hard on the ground, and damaged my lens. As for those dividers, they're an absolute pain, they're fiddly and flimsy and also a total waste of time. I have both the atlas and the peak design. I use atlas for anything outdoors on the trail, it just breathes better on the back and is set up better for hauling water and the extra food/ gear that comes along with shooting photos in the outdoors. But for my around the city photo work or weddings I like using my peak design bag as it suits my attire and the environment better. With that being said no bag is going to be perfect for every scenario, just gotta pick and choose the right tools for the job. For active outdoor work I use atlas over anything. I've got an Athlete and Adventure pack and absolutely love them! I've had Clik Elite, Dakine, and Fstop packs in the past and Atlas is on par if not better depending on your usage. Cheer Matt -- Thanks bud. I don't understand. You indicate his inspiration was being on a month long trek in the Himalaya, and so I go to the website expecting to see something that can carry all the gear you would carry on any trek, such as tent, sleeping mat, sleeping bag, wet weather gear, food, etc, but what I see is just another camera bag. It's a nice looking bag, to be sure. And the creator is to be congratulated. And I'm sure the product will sell well. But it doesn't do anything that my current bags do not, and it is absolutely useless if I want to go out for a week long hike. So, for trekking, I'll stick with my 105L (3550oz) backpack, with a camera insert. I own the 70 liter Adventure from Atlas and can easily use it for multi-day hikes with my d850 setup... The Camera compartment can be either large (pro dslr and 4-6 lenses) or medium (which will still hold my 850, 70-200, 24-70 and a prime). I've owned "outdoor" packs from both f-stop and lowepro and the atlas is WAY better than those as it holds all my stuff, gives me quick access and is very comfortable. Thanks Kemper. Stoked that you are enjoying your pack.. 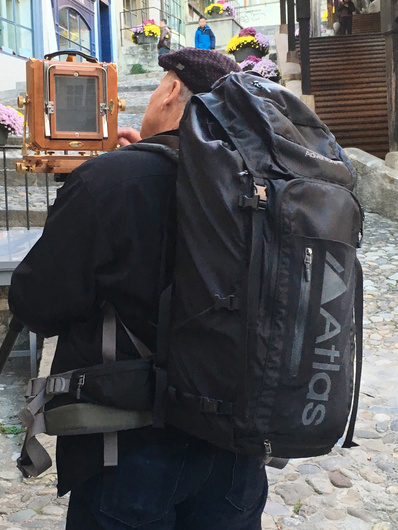 So the bag in this article - the Atlas Athlete - is the smaller of our two bags and was not designed to be a bag for extended self-supported trekking/mountaineering. The trekking influence on both the Atlas Athlete and Atlas Adventure packs shows in a harness system designed to carry weight really well, just as a trekking or mountaineering bag does. Camera gear is primarily made of metal, glass and high-density plastic - which is very heavy per unit of volume compared to most items we place in a pack. This high mass per volume means even mid-sized camera bags like the Athlete require a robust harness to carry well when packed full. Further, the camera bag industry's ubiquitous "one size fits all" approach simply can't work well for everyone, even with "adjustable" harnesses. I'm 6'2" /188cmm and most bags just don't carry right for me. If one did, could it work for someone else who is 5'3"/ 160cm? There is a reason every mountaineering and trekking bag comes in different sizes. I learned from hiking/trekking pack designs how to create the very robust harness on both the Athlete and Adventure packs - including versions designed from the ground up to fit different body types. With camera bags, it seems one-size fits all is more of a margin strategy than performance-oriented design. I can tell you from experience that its considerably more expensive to make one "pack" that actually is 4 different SKUs vs making a single "one size fits all" SKU. FWIW, it turned out to be incredibly hard to do this and still make a functional camera bag - particularly one with back panel access. There were a lot of failed prototypes on the way here! 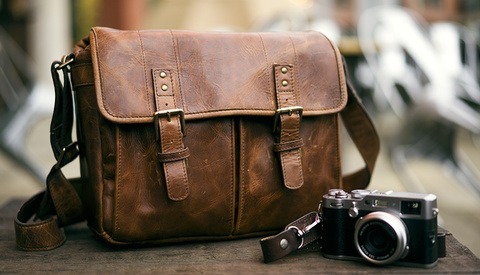 I feel confident saying there is not another camera bag on the market designed in this manner. You'll notice that most other adventure/travel camera bags have removable camera compartments that require pressure between the front and back of the bag to stay in place. This renders it impossible to expand them to carry non-camera gear and limits access to the camera compartment. It results in the "big box" design most bags ultimately default to. If you look at our bags, particularly the Athlete, you'll note it is very shallow/thin when only carrying camera gear. Anyway, I'm hopelessly biased but I think these packs turned out really well. I believe we've added something new and useful to the market that wasn't there before. No bag serves every use case and YMMV but I hope you get a chance to check the packs out in person to better see what we have done! I’ve pretty much given up on things like ”adventure” camera bags on such. Nothing I see seems to be up to it. Either horrific carrying systems or very large and clumsy. Or like F-stops that looked good untill you realised they were super hard to find and cost a furtune. I’ve got a Norröna falketind 35l with an small lightweight camerabag for my kit. Sometimes I just dump my camera without padding or wrap it in a shirt or something like that. Has worked fine and seems to be the best solution imo. Have used a Mammut Trion Light too which has the best carrying system I have ever used. Probably not gonna drop a lot of money in a startup like this even though it sounds quite promising. But I feel its not worth the risk after I have seen how the other companies have failed horribly. I have a f-Stop Tilopa for sale at a great if you want one :) Don't use it anymore because I switched to Atlas haha. FWIW - I felt the same way. That's why we started Atlas Packs! Hey David. Are you in California by chance? You can checkout our packs at any Camera West store and Leica San Francisco (starting next week).We may be a startup but don't let that dissuade you. Let us know what you think if you get a chance. Cheers. 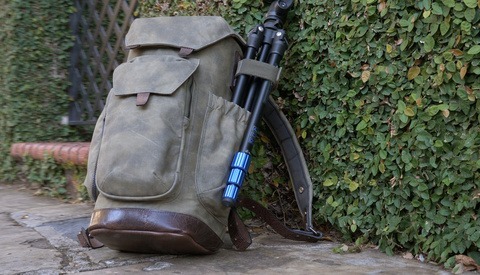 Just get a proper backpacking pack and add a "cube" for your photography gears. You can even put them all in dry bags. The issue with that is the cube never stays up against your back and then it’s inaccessible. But I totally did the cube thing for a while and it worked decent. Honestly, this was my default solution for years as well. Atlas is our effort to find a better solution than that. Love my Lowepro but I wish it had a frame. This bag just might be that bag. Good price and looks good. Feel free to DM us @atlaspacks on instagram if you have any questions. Thanks. Updated dividers system (higher density foam with a better mix of flex and rigidity), two side compression straps (vs 3), taller tripod/water bottle pockets, added a Harrington fireman handle (allows for side carry, it's really awesome), taped the seams on the rainfly and moved rainfly pocket up and away from base, updated colorway and added a contrast zipper for backpanel, added full strap retention system, new zipper pulls, glides and tabs (plus and extra packet of spares in every box), added XL shoulder straps and waistbelt options.... I'm sure I'm missing a few things. Anyways, free to DM me @atlaspacks on instagram or send an email to hi@atlaspacks.com for more info.. Sounds great, thank you!!! I have sent you a PM by email. 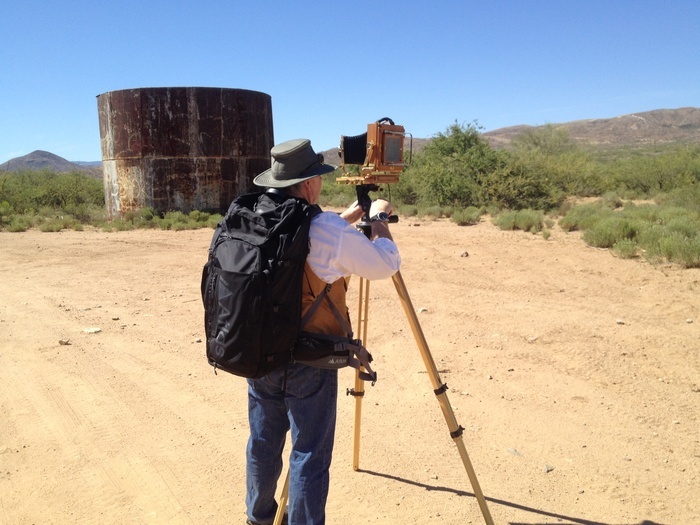 I have had the opportunity to use the Atlas large camera bag for large format work, both 4X5 and 5X7 wooden field camera systems. I have walked around Paris and the Alps in Switzerland with the bag loaded with field camera gear, including lenses and film holders. I was very happy I was using this bag on the trip. Dave raises a good point because photo gear is typically heavier/unit volume than other luggage and a wearable load is extremely important in doing large format photography. See the attached photos for more info. Do you have any detail photos/descriptions showing? • How it carries a Heavy Tripod(s)? None? Center? Side? • configurations with multiple pro-bodies, large lenses? • zippable areas for Probars, Bug spray, sunscreen, hat, rain shell, 1st aid, etc.? • molex attachment points for sleeping bag, tent, etc. • what are the spec? WEIGHT, CubicFt/Ltr, Dimensions? • materials? water resistance? zipper durability/water resistance? • on the outside, it looks like a neoprene sleeve with a very flat zipper (by your logo). What's up with that? I love Fstoppers, but this article seems really more fan-boy superlatives than tangible review.